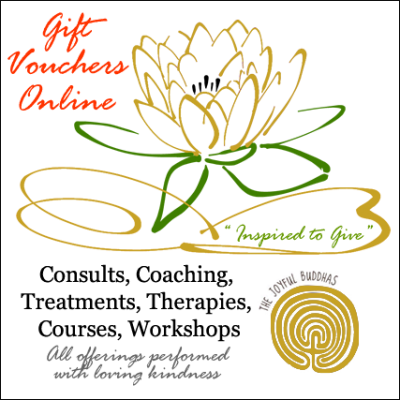 Vouchers are available for all our regular class sessions throughout the week at The Joyful Buddhas. Single, 5 & 10 Class Passes and Monthly Membership. All offerings performed with loving kindness. A place to relax. A place to rejuvenate. A place to heal. A place to connect. A place to breathe. A place to stretch. A place to be stretched. A place to laugh. A place to love.